The Massachusetts workers' compensation system was set up to make it easier for workers to recover benefits if they are injured or made sick on the job. In exchange, workers gave up their right to sue employers for negligence, except under rare circumstances. Unfortunately, like other insurers, workers' compensation insurers are sometimes driven to make decisions based on profit. This means that valid workers' compensation claims may get denied, and insurers may improperly handle or investigate claims. At Pulgini & Norton, our Boston workers’ compensation attorneys can advise you on filing a complaint of improper claims handling against an insurer and other aspects of your claim. If you have been unable to earn full wages for five or more days due to an on-the-job injury, your employer must notify its workers' compensation insurer within seven days. At that point, the insurer is supposed to mail you a check or send you a form denying compensation and outlining the reasons why. You can file a Form 110 (employee claim) after that, but it will not be accepted until 30 calendar days have passed since you first became disabled. In some cases, however, you might receive neither a check nor a denial, and various other aspects of your claim may be mishandled. A specific complaint of improper claims handling or concerns about a workers' compensation insurer can be filed against an insurer on a Form 130. 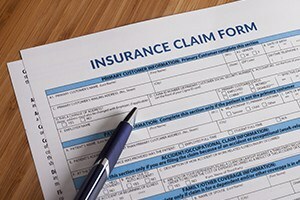 On the form, you will need to include your identification and contact information, contact information for your employer, contact information for the insurer, and specific details about your complaint, such as the relevant dates, the weeks not paid, or the date the claim was paid through. The Department of Industrial Accidents (DIA) has stated that the purpose of filing a Form 130 is to ask the DIA to investigate the claims handling practices of a workers' compensation insurer. The DIA does not award damages or compensation to the person complaining, but it decides whether further investigation by the Division of Insurance is warranted. In Massachusetts, insurers are required to promptly respond to the initial filing of a claim and conduct an investigation within a reasonable time frame. These are relatively subjective guidelines. However, there are certain specific rules that insurers must meet, and a failure to do so would likely be considered unreasonable. For example, if the insurer repeatedly delays paying the correct amount of benefits but has not denied the claim, this might be an improper practice. Similarly, an insurer that makes misrepresentations to an injured worker is likely to be viewed as improperly handling the claim. It can be very stressful to be disabled and expecting workers' compensation benefits, only to have your claim denied or mishandled. For many injured workers, the benefits received through workers' compensation represent their sole income during a period of disability, and they rely upon that compensation to pay their rent, their groceries, and various other bills. If you are subject to improper claims handling, our Boston workers' compensation lawyers can help you file a complaint and get your case back on track through the dispute resolution process at the DIA. We also represent people in Andover, Weymouth, and Newton, among other Massachusetts cities. Contact Pulgini & Norton at 781-843-2200 or through our online form for a free consultation with a workplace accident attorney.